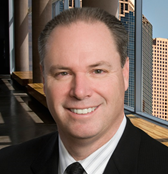 Dennis Petri is a partner in UHY LLP and a managing director of UHY Advisors MI, Inc. our US member firm, where he is a leader in the tax department and serves as the firm’s international liaison. He is also a leader in the US member firm’s international tax group. A licensed CPA in the state of Michigan and Florida, Dennis has more than 32 years of experience as a trusted advisor,advising public and privately owned companies, specialising in creating innovative tax strategies to help companies increase profits, preserve wealth and achieve short and long term goals. He joined the UHY Board of Directors in December 2014. Provides due diligence and strategic consulting on issues involving mergers and acquisitions.